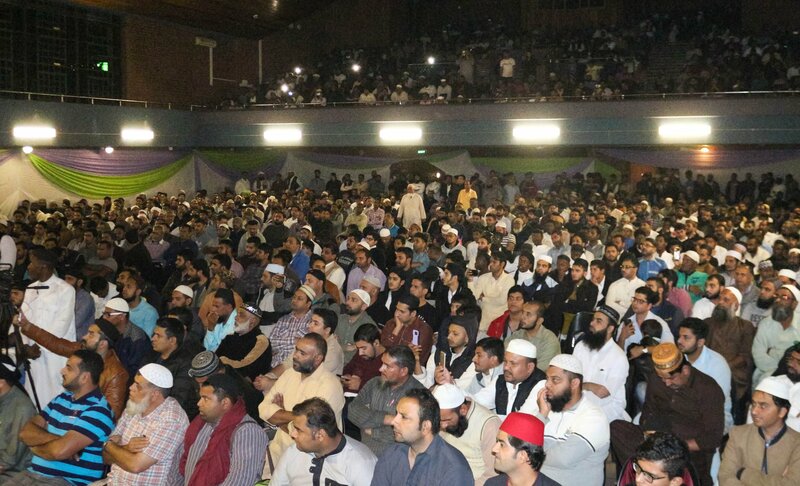 On Saturday 21st April 2018 South Africa was blessed with the presence of a great Islamic orator and a well known scholar of Islam, one that has positively influenced the lives of millions around the world, Allama Muhammad Saqib Raza Mustafai. 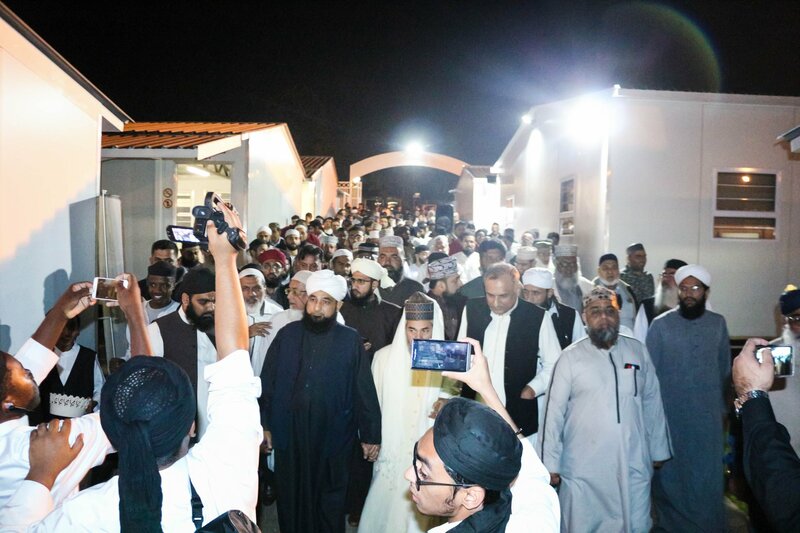 On his arrival at the O R Tambo International Airport in Johannesburg, he was warmly received by students and educators of Darul Uloom Pretoria alongside prominent Ulama and members of the community. It was the Grace of Allah Almighty, that his eminence began his tour of South Africa by first visiting Darul Uloom Pretoria. His eminence was welcomed in a spectacular and fitting reception by the institutes principal Mufti Muhammad Akbar Hazarvi, Deputy principal Moulana Hafiz Ismail Hazarvi, staff, learners and members of the community and representatives of other Sunni organizations in the Gauteng region when he visited the main campus in Claudius. Allama Saqib Raza Mustafai received a spectacular welcome at Darul Uloom Pretoria. The welcoming programme began with a final year student Hafiz Khalid Oraibo reciting verses from the Holy Qur’aan and then Naat was recited by an educator of the institute, Moulana Hafiz Mahboob Ur Rahman. Allamah Saqib Raza Mustafai then delivered some pearls of wisdom to those present. He mentioned that Islamic institutes such as Darul Uloom Pretoria are the means of revival of the Deen and supporting them is in fact supporting our Deen. The welcoming programme concluded with Salaami and the final Duaa was led by his eminence Allamah Saqib Raza Mustafai. Various Islamic organizations and scholars from around the province and country united in hosting his eminence Allamah Saqib Raza Mustafai. The function began with Qiraat by Moulana Anwar, Imam of Jewel Street Jummuah Masjid. Naat was recited by Moulana Moosa Raza (Principal Madrassah Imaam Ahmad Raza). Qibla Mufti Akbar Hazarvi, the founder and principal of Darul Uloom Pretoria welcomed his eminence to the address the audience present in the Civic Centre. In his address, his eminence spoke on various aspects on how we can find salvation in both worlds leading upto materialistic love and how the love of the Holy Prophet SallAllahu Alaihi Wasallam is not like any other love. The programme concluded with Salaami led by Moulana Sikander Lakha (Principal Madrassa Tul Owaisia) and final Duaa was read by his eminence himself. 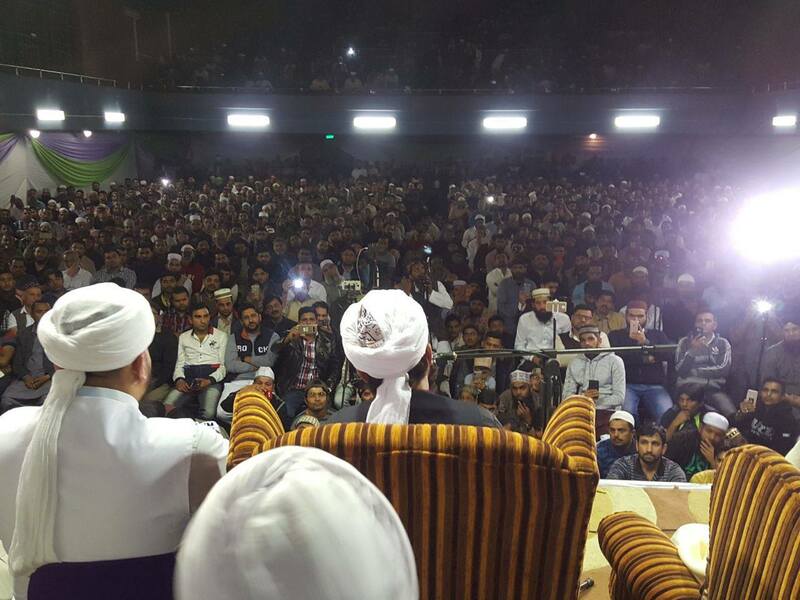 A passionate crowd of thousands of devotees attended the event and attentively listened to the Iman-inspiring discourse in whatever place they found in a hall that was filled well beyond its capacity. Host organizations incuded the Darul Uloom Pretoria, Pretoria Muslim Trust, Imaam Ahmed Raza Educational Institute and Madrassa Tul Owaisia.